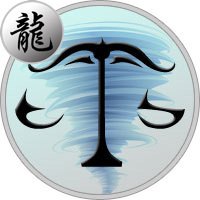 People like tactful and intelligent Dragon-Libra, but do not trust them completely. After all, a charming character hides a strong character. Restrained in communication, in every way protects his inner world from outside interference. The person born under the sign of Libra in the year of the Dragon, is distinguished by softness and goodwill. At the same time, he is energetic, cheerful, not afraid to make bold decisions. Always attentive to the requests of others, although he is really worried about only his problems. However, because of its natural softness and kindness, it can not pass by someone else’s misfortune. Therefore, constantly busy with some useful things. Although he needs solitude, he likes to reflect and make dreams. Peace-loving Dragon-Libra does not like to quarrel and find out the relationship. It is better to remain silent or to stop the conflict than enter into an open dispute. Even the most convincing arguments of the opposite side will not force him to change his point of view. The Dragon-Libra is so confident in himself that the opinion of others does not mean much to him. Of course, he listens to the recommendations and even takes some advice on arming, but without fanaticism. He is just, calm, reasonable, knows how to draw the right conclusions. Does not take hasty decisions and does not depend on public opinion. All Dragon-Libra, regardless of gender, have high moral qualities, are not inclined to gossip and intrigue. Dragon-Libra is not very sociable, loves solitude. True, others like to distract him from his personal affairs with his requests. People do not know about his desire for solitude, because this is such a sweet and kind person. Libra-Dragon likes to spend free time with family, and noisy entertainment tires him. Although from politeness can support the company and go to a merry party. However, he will try to get the maximum benefit: rest has new acquaintances. This attractive personality in some surprising way is always in the center of attention. People like the company of the Dragon-Libra, but his thoughts and desires are a mystery to those around him. And this is for the best, because curiosity can anger him. The life of a man born under the sign of Libra in the year of the Dragon is full of all kinds of pleasures. This person has a developed aesthetic taste, likes to buy beautiful things. He carefully follows his wardrobe, knows all fashionable novelties. For all its unpretentiousness, Libra-Dragon will not tolerate need and deprivation. Strives for success and prosperity, ready to fight for the best place. However, he will not lie and betray his relatives for the sake of material benefits. He will try to achieve everything by honest labor, because responsibility and purposefulness are in his blood. This sensible, ambitious person easily achieves a high position. If difficulties arise, they do not complain, but silently overcome obstacles. In personal relationships, Libra-Dragon is cautious and selective. Avoid contact with unfamiliar people, if only out of courtesy spill a couple of phrases. He is not inclined to frivolous connections, he does not like flirting and empty talk. She prefers long courtship: time is the best adviser in love affairs. You can not call him a callous person without emotions and feelings. On the contrary, the love horoscope testifies to the passionate temperament of the Dragon-Libra. Just not everyone can see his true face. People of this combination are distinguished by a serious approach to marriage. Do not hurry with the choice, carefully analyze the behavior of the partner. Dragon-Libra is a one-man, does not seek entertainment on the side. He needs strong relationships, so he tries to keep his marriage with all his might. Fortunately, rarely makes mistakes in choosing a partner, his family life is pretty successful. A lot of time is given to relatives, children are of particular concern. Strives to grow from them decent people. For the Libra-Dragon, it is not only material wealth that matters, but also the state of mind. Therefore, he chooses a profession to his liking and faithfully serves his beloved cause throughout his life. Seriously refers to work, works hard. He does not like to stick out his services, but he is waiting for encouragement. This honest, responsible employee has the right to count on additional bonuses and promotion through the career ladder. Libra-Dragon are respected in the work team for their high professionalism. Creatively gifted, flexible in communicating the Dragon-Libra can take place in any profession. Possesses endurance, patience, is able to settle any conflict. It suits work related to people. His talents in the sphere of communications and managerial activity will be in demand. Dragon-Libra is distinguished by dedication, determination, diligence. The only obstacle to a successful career: isolation, a tendency to exaggerate problems. Whatever the strong experiences of the Libra man born in the year of the Dragon, he will not show them to others. He is a calm, balanced person, trying to find inner harmony. It is important for him to understand his purpose, and he must figure out everything himself. Do not ask advice even from close people. The energy of the Dragon and the wisdom of Libra will help him to achieve success without outside interference. Usually his life develops quite successfully: Libra-Dragon man held in the profession and personal life. Women pay tribute to his peaceable disposition, but underestimate stubbornness and the desire for independence. He does not tolerate pressure, he always acts in his own way. Kind, open Libra-Dragon woman for surrounding people seems native and familiar, she can safely entrust any secret. She tries not to think about bad things, she is always nice and sociable. It is distinguished by an optimistic view of the future. The woman of these signs is self-confident, thinks quite soberly, so she lives quietly: without sudden ups and downs. Although the energy of the Dragon sometimes deprives her of peace, pushes on ill-considered actions, attracts vague prospects. But you can not be afraid for her well-being, Libra-Dragon woman is self-sufficient. Family life does not deprive her of her female charm, she maintains her positive attitude. Caring for close people does not bother her at all, but delivers only joy.